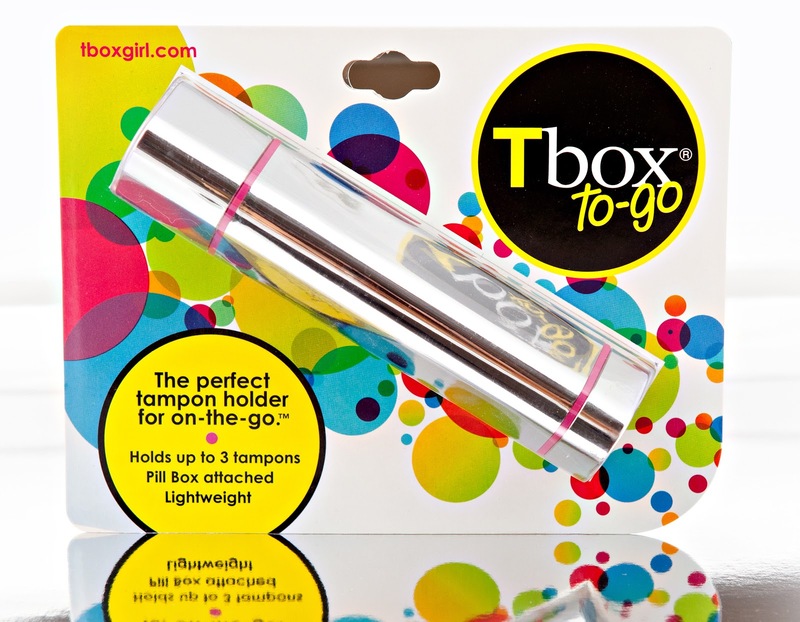 The Tbox to-go is definitely something that every girl and woman needs to have in their purse. It's such a convenient little holder that keeps your tampons from getting crushed or dirty. 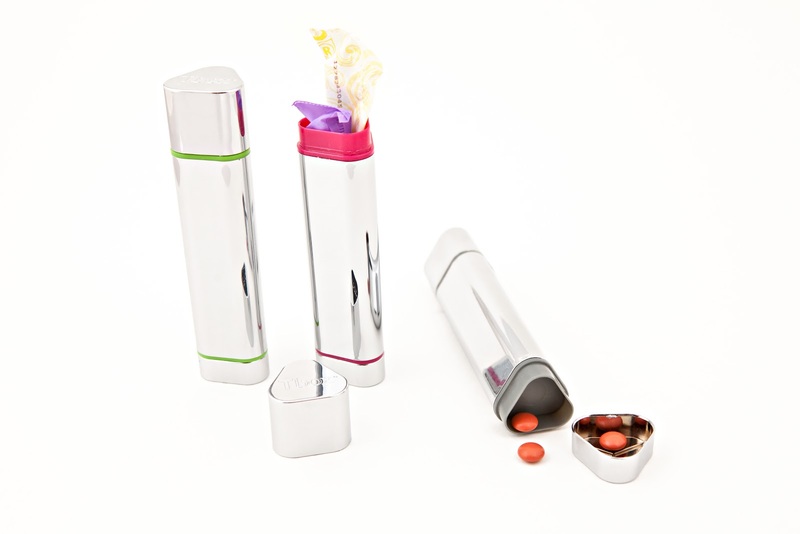 You can keep some pain relief for those period cramps inside the the little secret compartment in the top. Sometimes my purse can feel like a black abyss. I will toss items inside and they will be forever lost no matter how hard I look. I pretty much end up dumping the whole thing out just to find a freakin' stick of lip balm. It's annoying and a common problem for those of us with purses. I like that the Tbox is metallic and triangular. When I am fiddling around inside my purse this little holder is easy to find because of it's shape and color. If I do happen to be digging around in my purse and the Tbox jumps out I'm not worried at all because it kind of looks like makeup or some kind of body spray, maybe even a glasses case. Nobody suspects that it is holding my feminine products. If I need a little mascara freshen-up then the case doubles as a mirror perfectly. The lid is super secure and holds tight. This wonderful little do-dad is a keeper for sure. It's my little friend for my not so friendly time of the month. Right now if you purchase two or more Tbox products you will receive FREE shipping! The Tbox comes banded in either green, grey or pink.